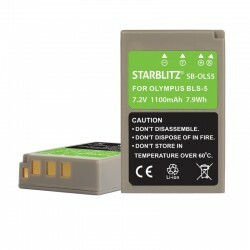 Compatible Olympus There are 5 products. 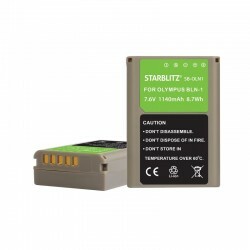 Rechargeable Lithium-ion Battery to replace Olympus BLN-1 7.6v 1140 mAh Voltage: 7.6v Battery capacity: 1140mAh Compatible with series Olympus OM-D, Finepix XP For specific models, see below the most complete description. 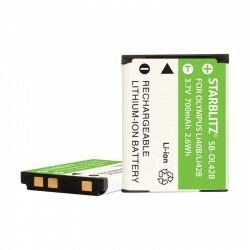 Rechargeable Lithium-ion Battery to replace Olympus LI 50B 3.7v 925 mAh Voltage: 3.7v Battery capacity: 925mAh Compatible with series Olympus Tough TG, Pentax Optio WG For specific models, see below the most complete description. 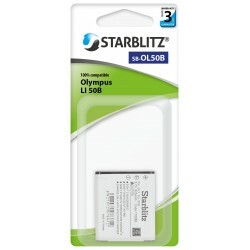 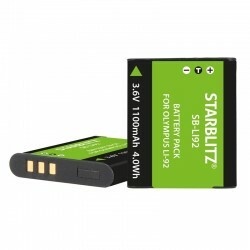 Rechargeable Lithium-ion Battery to replace Olympus LI 40B 42B 3.7v 700mAh Voltage: 3.7v Battery capacity: 700mAh Compatible with serie Olympus FE For specific models, see below the most complete description.